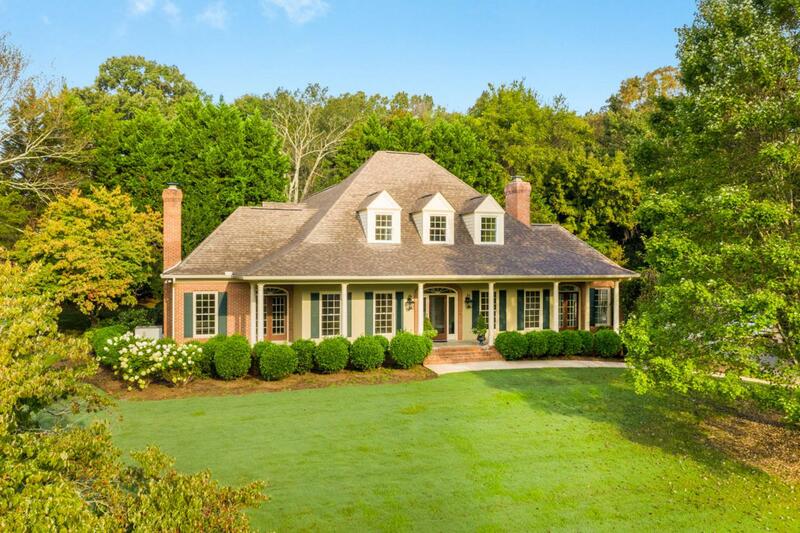 Welcome to this dream home located in Ooltewah's Mill Run Subdivision nestled on over an acre with pristine landscape and a front porch the length of the house. Inside the home beams with natural light and gleaming hardwood floors. Each room offering spacious living. The crisp and clean kitchen is the heart of the home offering lots of white cabinetry and granite countertop space, stainless steel appliances and large island with kitchen bar. Filled with thoughtful design and details throughout such as built in's around the fireplace in the keeping room, a breakfast room, and formal dining room. Large Master on the main has sitting area by windows and en-suit with jetted tub, separate shower, his and her sinks, and large walk-in-closet. The formal living roomwith fireplace leads to the sunroom with expansive windows and one access to the back porch. The second level offers three spacious bedrooms a jack and jill bath, another full bath, and a bonus room. Mature trees outside add privacy to this spacious double lot inside this gated community also offering a pool, clubhouse, tennis courts, ponds, and a playground. Schedule a tour today, dream home awaits!